New York, New York, U.S.A.: Arthur a Levine / Scholastic, 2007. Bound in gold cloth and green patterned boards with bright yellow dust jacket. 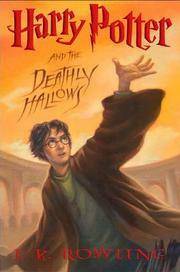 This is the second printing of the first U.S. edition of this title (with the number line ending in "2"). 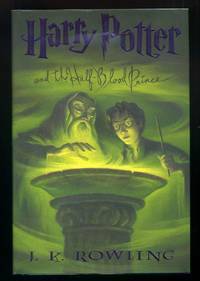 Signed on the title page by Ms. Rowling, with the tiny silver authentication sticker toward the top of the title page, insuring veracity. Also included is a ticket to the Carnegie Hall event dated October 19, 2007 where the book was signed. 759 pp. A tight, clean copy with no discernible flaws. . Signed by Author. Second Edition. Hard Cover. Near Fine/Near Fine. 8vo - over 7¾" - 9¾" tall. New York, New York, U.S.A.: Arthur a Levine, 2005. Bound in black cloth and purple boards with matching dust jacket. A tight, clean, unread copy of this Harry Potter book. Inscribed and signed on the dedication page by the author, "To Wes, Happy Birthday! J K Rowling". Difficult to find an inscribed copy and since it was signed on the dedication page -- one wonders if it was signed to one of her daughter Mackenzie's friends. 652 pp. . Inscribed and Signed. First American Edition. Hard Cover. Fine/Fine. 8vo - over 7¾" - 9¾" tall. NY: Random House, 2009. 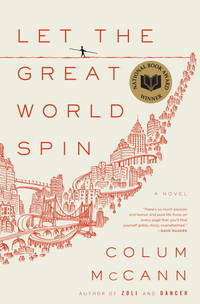 The first edition of this novel by Mr. McCann and winner of the National Book Award in year of publication. A tight, clean copy in bright dust jacket. 349 pp, . First Edition. Hard Cover. Near Fine/Near Fine. NY: Knopf, 1986. Front d.w. flap shows minor vertical crease and tiny repaired nick. This is the first book to be published by this German author in the U.S. (his first novel which has been highly-touted internationally). The first edition of the author's first novel. 255 pp. Basis for the movie of the same title. . First Edition. Hard Cover. Near Fine/VG++. NY: Norton, 1971. Dust jacket has original price of $5.95 -- but bottom of flap is clipped (probably by the publisher). Light discoloration to bottom of jacket. Overall, a stunning copy of this scarce first edition of the Irish author's second book. 224 pp. . First U.S. Edition. Hard Cover. Near Fine/Near Fine. NY: Horace Liveright, 1929. The dust jacket has a pencil-eraser sized chip to top of front panel, but is overall, in great condition. The first edition of this play by O'Neill. Reference: Atkinson 31-1-1-a. Becoming hard to find in this condition with an acceptable dust jacket. 159 pp.. First Edition. Hard Cover. Near Fine/VG+. NY: Viking, 1963. Dustwrapper shows typical wear to spine ends (not affecting any text). Overall, a most acceptable copy of this rather uncommon U.S. first of this, the author's sixth book (third novel). 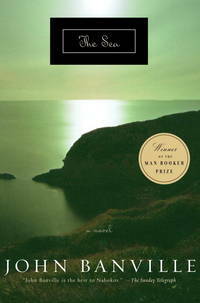 Ms. Gordimer is a recipient of the Nobel Prize for Literature.. First American Edition. Hard Cover. VG++/VG+. NY: Pocket Books, 1992. The true first edition of the author's highly acclaimed first book that went into multiple printings both in hardcover and paperback. Not to be confused with the more common second printing of this work in the two-toned blue dustwrapper (this one is maroon and blue). . First Edition. Hard Cover. Fine/Near Fine. NY: Random House Inc, 2001. Original Wraps. A beautiful pre-publication Advanced Reading Copy (ARC). 8vo - over 7¾" - 9¾" tall. Printed from Uncorrected proofs. Much scarcer than the hardcover first printing. 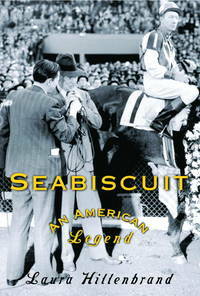 Basis for the movie of the same name that starred Tobey McGuire as the jockey, Red Pollard.. Advance Reading Copy. Glossy Wraps. Near Fine/No Jacket. New York: Viking, 1976. Short stories taken from the author's five previous collections, with an introduction by the author; 381pp. . First Edition. Hard Cover. Near Fine/Near Fine. New York: Viking, 1976. Translated from the French by Helen R. Lane; 171pp.. First U.S. Edition. Hard Cover. Fine/Fine. New York: Kodansha International, 1974. Translated from the Japanese by John Bester; 274pp. Scarce in this protected condition. . First U.S. Edition. Hard Cover. Fine/Fine. New York, NY, U.S.A.: Summit Books, 1980. Overall, a tight, clean copy of the first edition of this, the author's second book. By the author of In Patagonia.. First Edition. Hard Cover. Near Fine/Near Fine. London, 1984. The first edition of this title -- published by Jonathon Cape in London. A tight, clean "as new" copy. . First Edition. Hard Cover. Fine/Fine. NY: Knopf, 1974. Nice, tight, clean copy of this, the first U.S. edition of the author's first book. Scarce in this protected condition. With an AUTHOR SIGNED 4" X 6" black and white photo laid in. . First American Edition. Hard Cover. Near Fine/Near Fine. NY: Simon & Schuster, 1958. Dustwrapper shows a bit of discoloration to spine, but is overall, a tight, bright copy. The first U.S. edition of the author's fourth book (second novel). Ms. Gordimer was recently awarded the Nobel Prize for Literature.. First American Edition. Hard Cover. Near Fine/Near Fine. NY: Viking, 1966. Dustwrapper is beautiful (wrapped in plasticine since day one). The only flaw (if you want to call it that) is professionally restored endpapers (this was one of those remaindered books that were never read, but had the plasticine covers glued to the endpapers. By the Nobel Laureate. Gorgeous!. First American Edition. Hard Cover. Near Fine/Fine. Boston: Little, Brown, 1964. Dustwrapper shows one tape repair to d.w. top of spine and some yellowing to d.w. Overall, a decent copy of the first edition of the author's first book.. First Edition. Hard Cover. Near Fine/VG+.